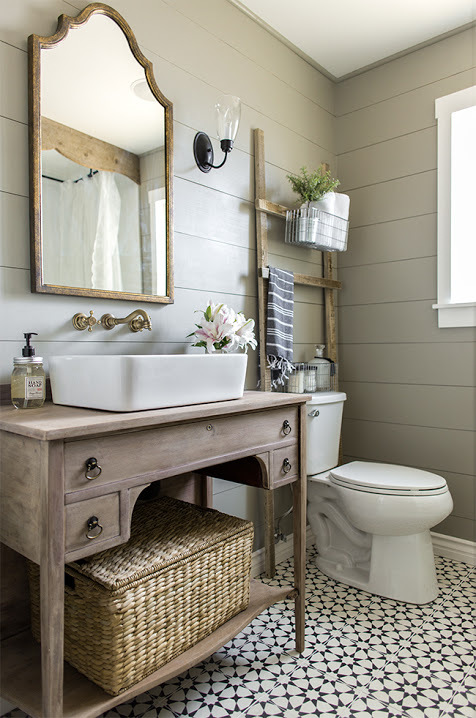 I’ve been scouting out new design and decorating ideas, and there are a few trends that are popping up EVERYWHERE! When it comes to trends, I personally like to incorporate the ones I truly love to keep things fresh; however, it’s also important not to lose sight of your personal style. If you’ve always loved silver, there’s no need to jump on the copper trend. Same with color– I’m a neutral girl at heart, but if you love color you can skip the gray palettes sweeping the land and go for whatever your heart desires. In my style exploration, there are trends I simply can’t ignore. Some I love and they make my heart go pitter-patter; others, meh. It’s important to take note of the photos that give that immediately give you that ‘ahhhhh’ feeling. If you have to pause a few beats to convince yourself you like it, then it’s a pass. Here’s what I’ve noticed trending over the past year or two, and I think they’ll explode in 2016! 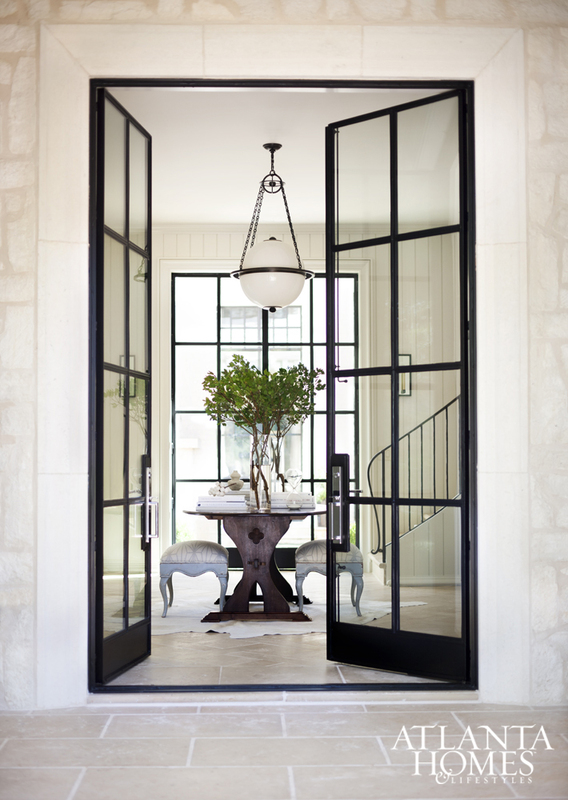 I first noticed black trimmed doors and windows years ago when I saw a tour of Nate Berkus’ home. 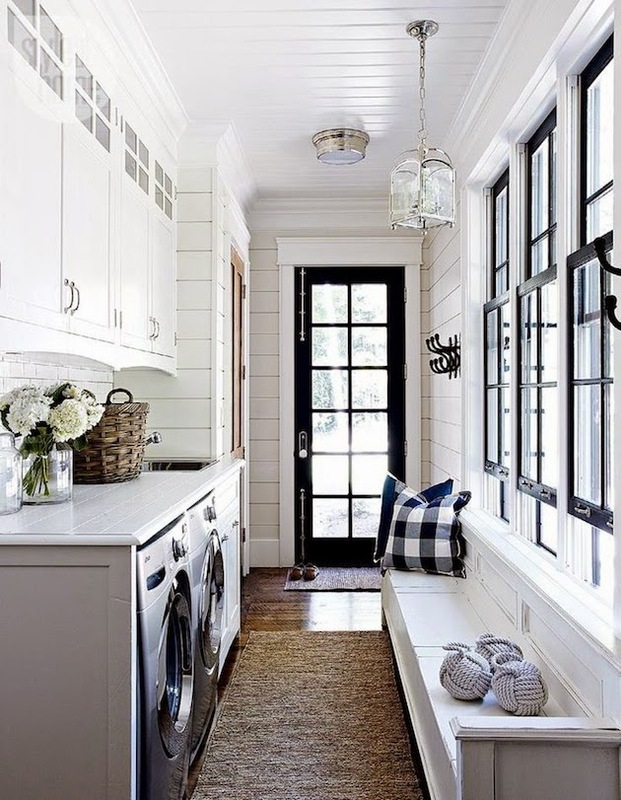 While I love the classic detail of a crisp white moulding, black trim around windows and glass doors is breathtaking. 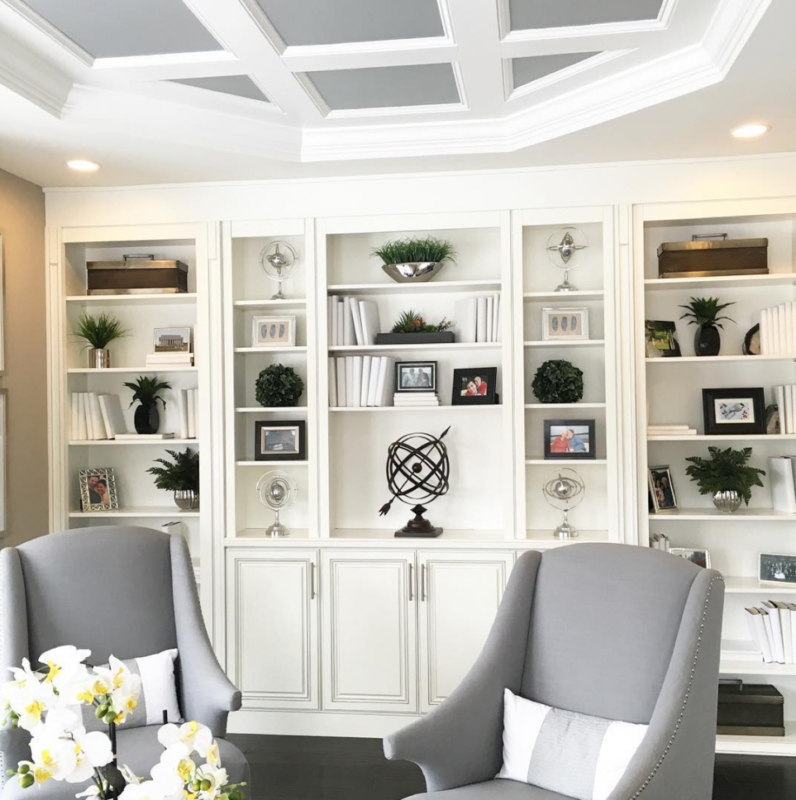 It has the effect of framing the view like a picture frame, so stylistically this chic trend is one that makes sense and is bound to be around for awhile. Of course, if your view is of neighbor’s trashy yard or another unsightly view (sorry, neighbor!) then maybe you don’t want to make this one your own right now. However, it’s definitely one to consider incorporating! DIY Tip: Yes, you can recreate this look yourself! With some glossy black paint and a lot of tape, pick a window with a view and go for it. Move over, boring subway tile– you’ve been replaced with DRAMA! 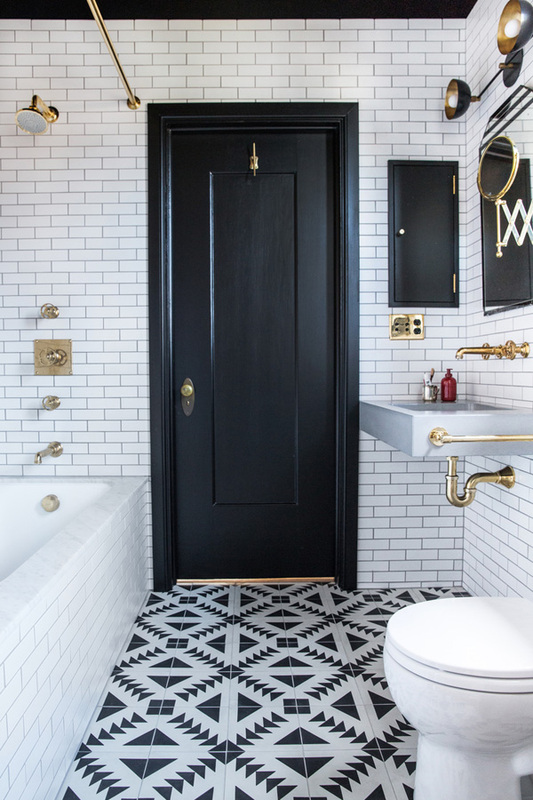 Actually, you can keep your subway tile but if you want to be on trend (and really, it’s okay not to be) pair with dark grout to give it contrast. BONUS: you can’t tell if the grout is dirty, bwahahahaha! Beautifully patterned tiles are every.where right now, and they are stunning! The pattern is almost like a rug or wallpaper and adds tons of texture to a space, so it’s best paired with clean, classic lines in the rest of the space. 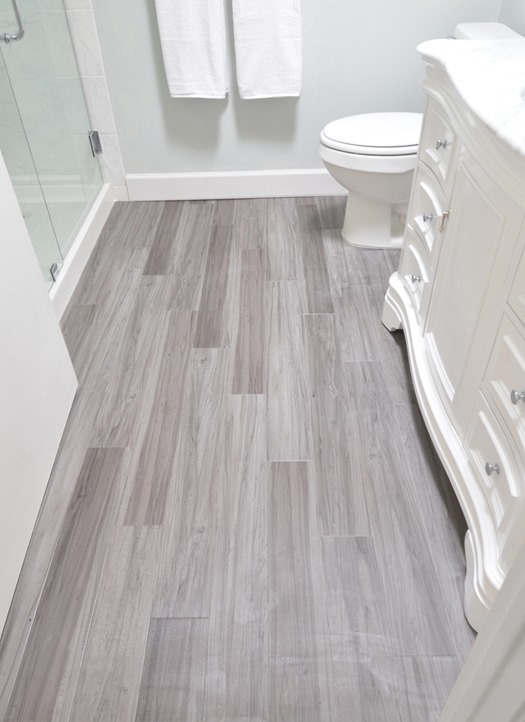 Wood-grained tile is still going strong, perfect for spaces that might get wet where you want a hardwood floor look but not actual wood such as a backsplash or bathroom floor. DIY Tip: Expensive tile not in the budget? Paint it. Find a stencil you love and apply the pattern with some some heavy-duty floor paint. If you’re really brave and somewhat handy with a brush, browse tile patterns, sketch it on your tiles and then paint & seal the tiles to recreate the look. 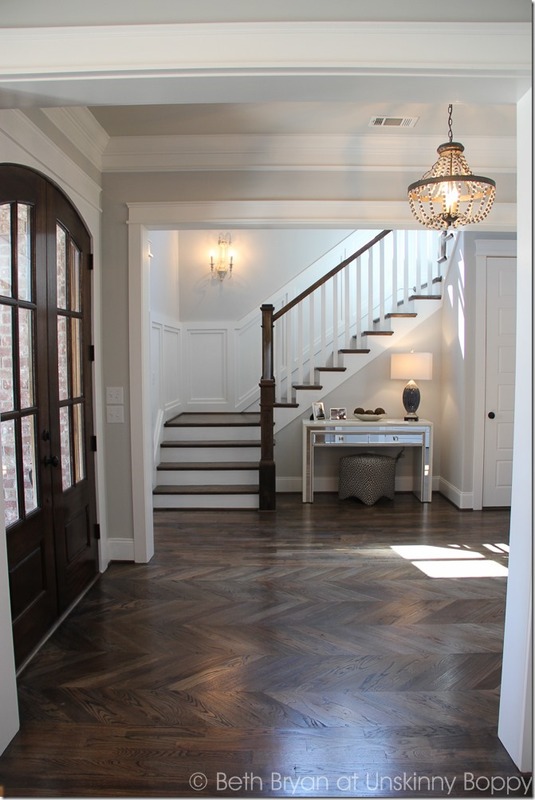 Forget straightforward hardwoods, laying them in a herringbone is where it’s at! This goes for flooring as well as backsplashes. 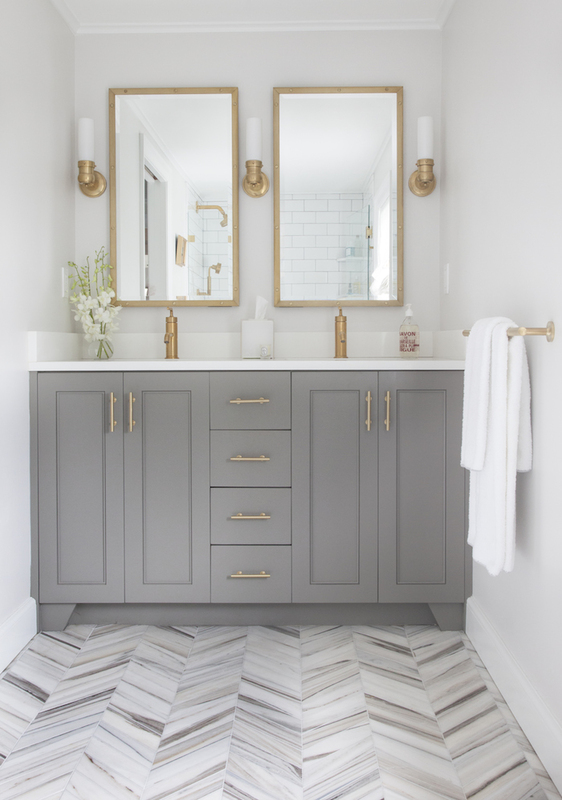 Just when you thought a trend was over, it keeps popping up in different ways (helllloooo, chevron!) Again, incorporating trends is all about what you make it. If you want a man bun, wear a man bun. If you love herringbone, go for the herringbone! Granite and stone are all like, ENOUGH with the solid colors and tiny specks, it’s time to show you what we can REALLY do! Instead of solid or small grains I’m seeing huge patterns on countertops, floors, and walls. This is a dramatic look for sure, probably best used for showstopping rooms and not, for example, the playroom. That stone does NOT want to compete with clutter. 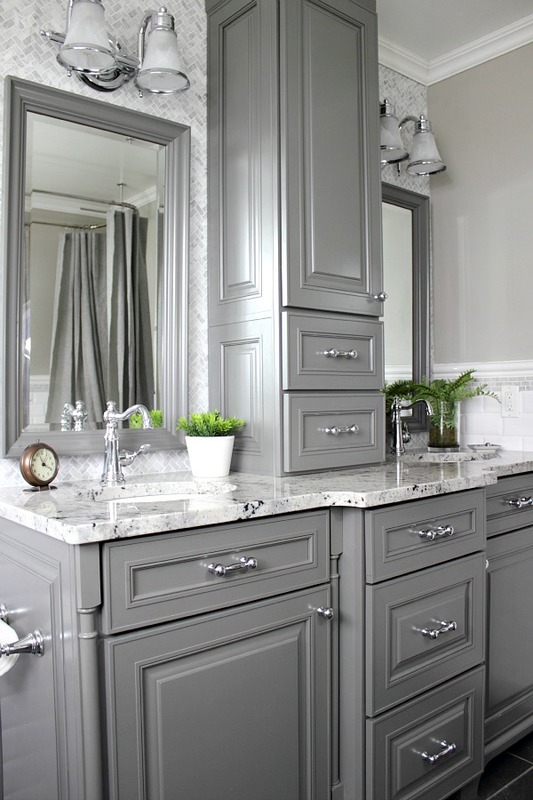 The ‘new neutrals’ such as grey, sage green and hale navy are taking over cabinets! 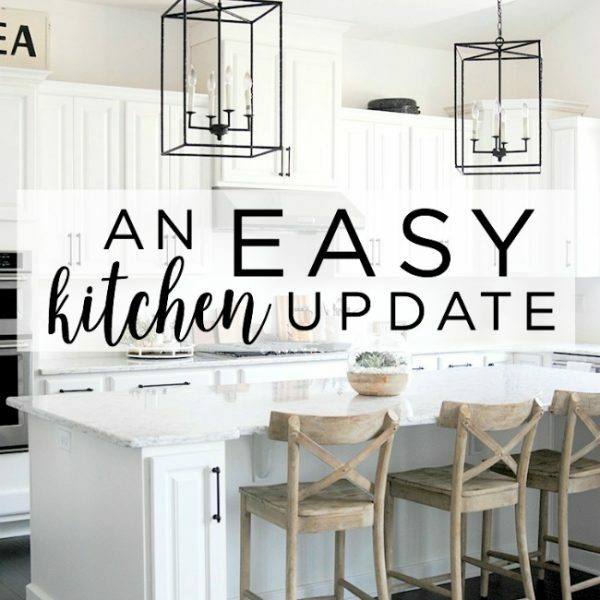 This is good news if your cabinets are already white, because it’s fairly simple to paint them a darker color. 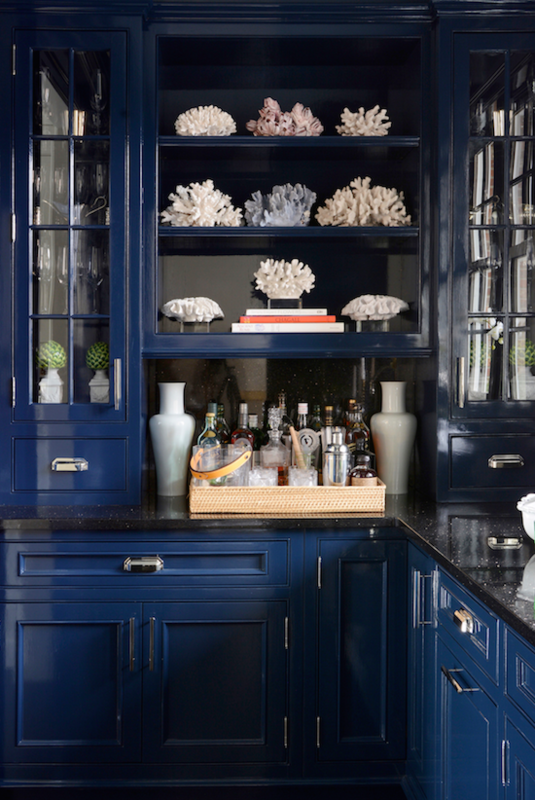 Many kitchens are offering a contrast of white on the outer cabinets and a navy island, for example. In other words, people are playing with different colors and the impact is pretty gorgeous. I almost can’t breathe this next look is so stunning. Bold, dramatic, not-quite-sure-I-could-pull-this-off but dang Gina do I love it. DIY Tip: Painting cabinets isn’t hard, it’s just time consuming. Here’s my advice: get an incredible quality paint (like Emerald by Sherwin Williams, that’s what we used on our cabinets and it was worth every penny) and get painting! DIY Tip: You don’t really need a tip, just paint a room white. Finding the right white can be a challenge though, so do a search online but realize the final result will look different depending on the lighting. Think about whether you want a warm white with shades of pink and yellow or a cool white with shades of blue or grey. Each will definitely give a different feel, so don’t settle– really be choosy about which shade you pick! 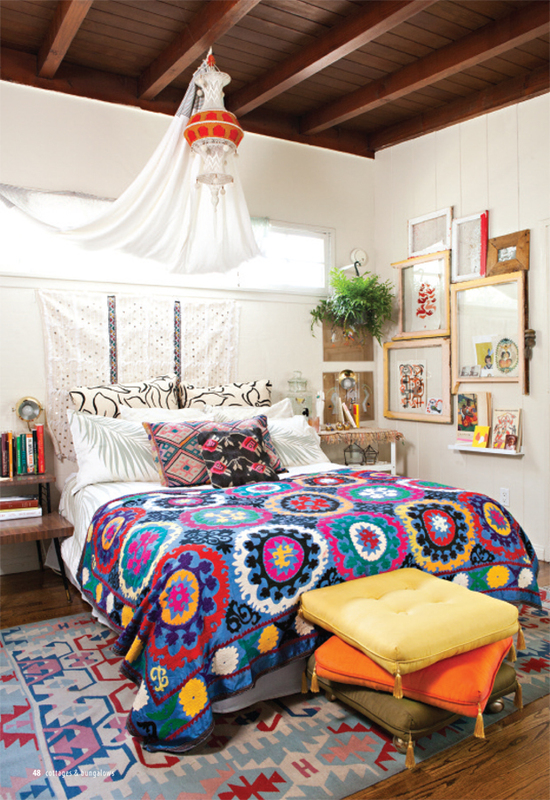 Gather about a dozen cactus and your granny’s afghan, style them in a corner, and BOOM– you’re on trend. Add in some pom-poms and a wall hanging and you’re Snapchat worthy. This season’s decorating style has a 70s thrift store vibe and that’s cool with me, man. DIY Tip: Go to your local thrift and search for blankets, afghans, 1980’s southwest style rugs, frames, wall hangings, and mismatched small furniture. Add in some mismatched pillows from HomeGoods. Put it together. Done. And on fleek! Remember those dozen cactus? 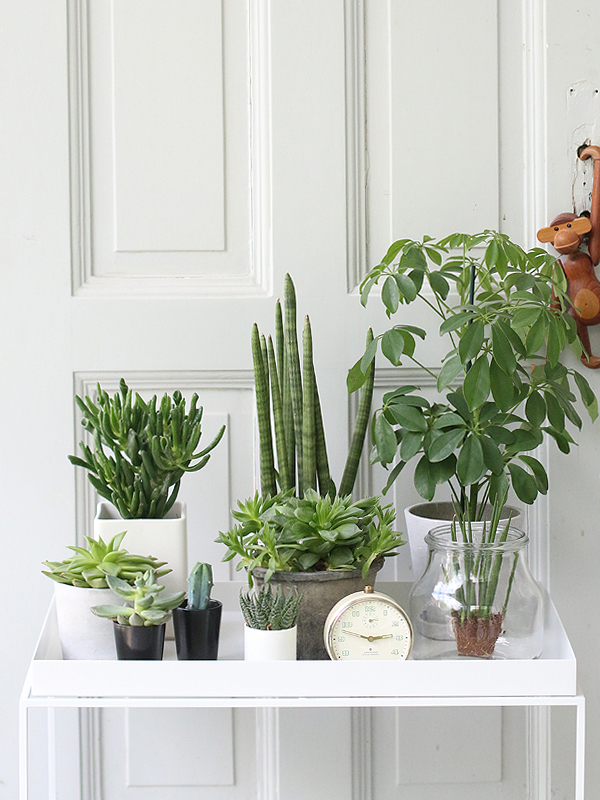 They’re called Plant Gangs and I think that’s the best decorating term I’ve heard all year. Wipe out Home Depot’s greenery section and fill a bookcase or sunny windowsill with them. Now you have a plant gang, too. Just remember to water them or they’ll turn on ya. 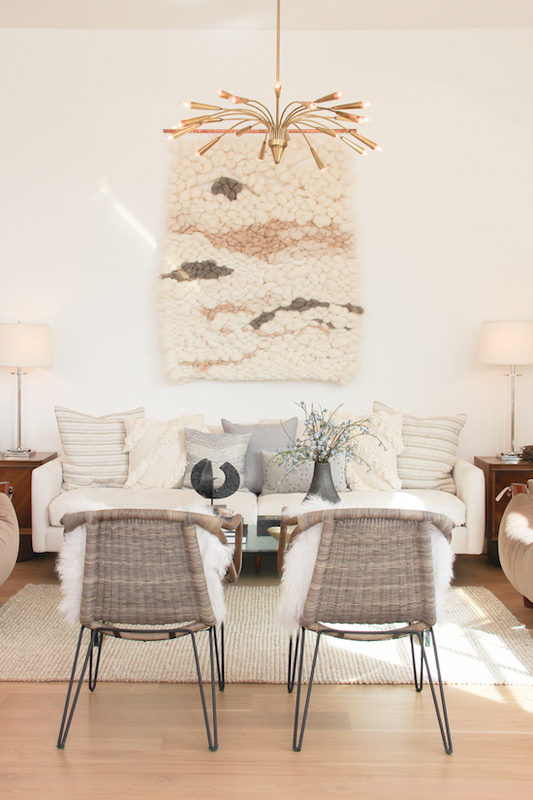 Sputnik chandeliers and round pendants, oh my! This year lighting is somewhat retro, with circular pendants and the sputnik is still going strong. Geometric shapes and beaded lights are everywhere, too. I’m also noticing table and hanging lamps with colored cords, which is a fun twist. Pretty much think of the word ‘orb’, and that’s what’s in style. A few favorite picks to illustrate this are in the slideshow below. 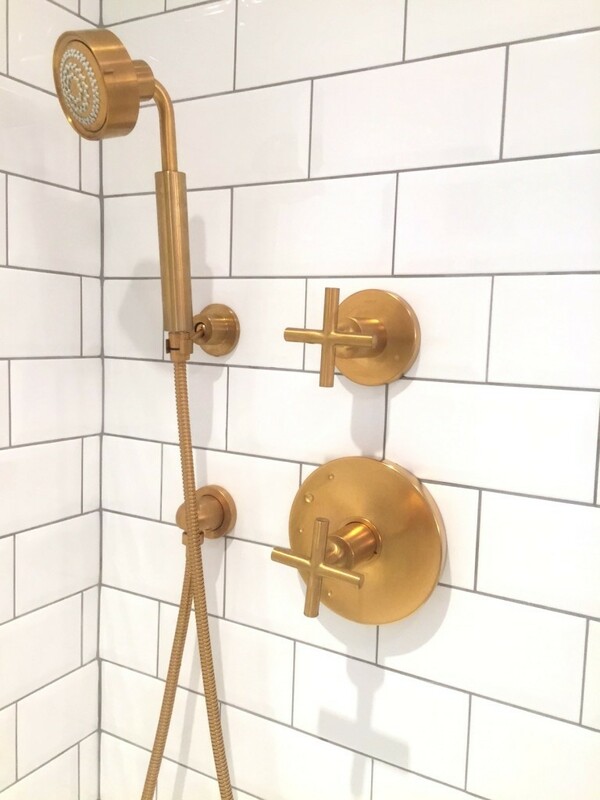 When it comes to fixtures and hardware, most of the new designs contain gold and copper. It’s interesting in my lifetime to watch the norm go from brass to chrome to brushed nickel to oil rubbed bronze to gold. Everything is cyclical, so remember to get what YOU love. It’ll come back around in style again at some point, amIright? However, if you want to be on the cutting edge go ahead and get the gold cabinet pulls. They do look amazing! 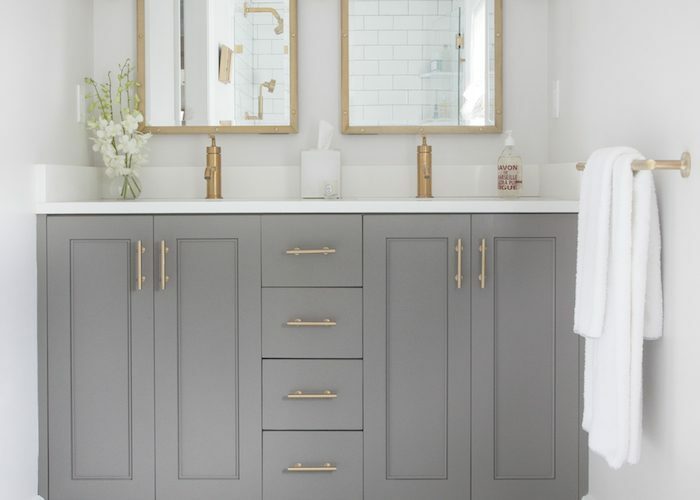 This bathroom literally has all the trends, and it is glorious. I can’t stress enough (though maybe I did in the post, whooops) but going with what YOU love is always in style. 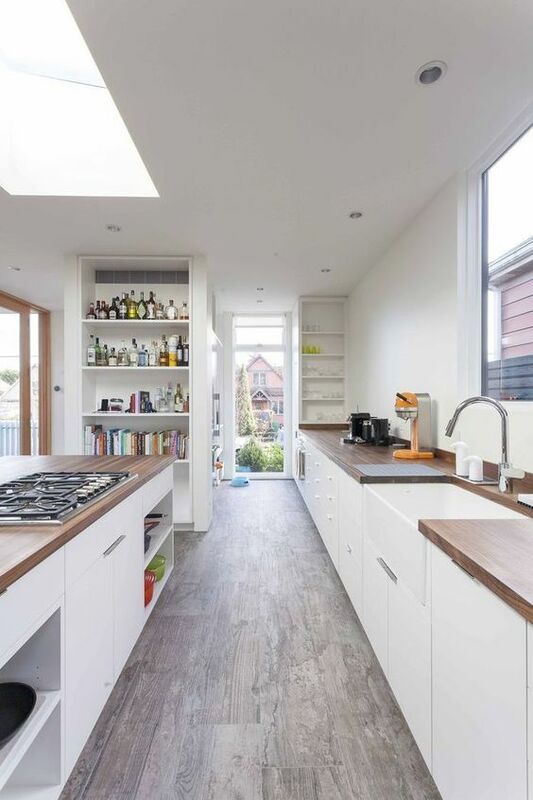 However, if you’re a trend lover you’ll find plenty of inspiration from the well-designed spaces above! What was your favorite trend in this post? Anything that’s a ‘meh’ for you? 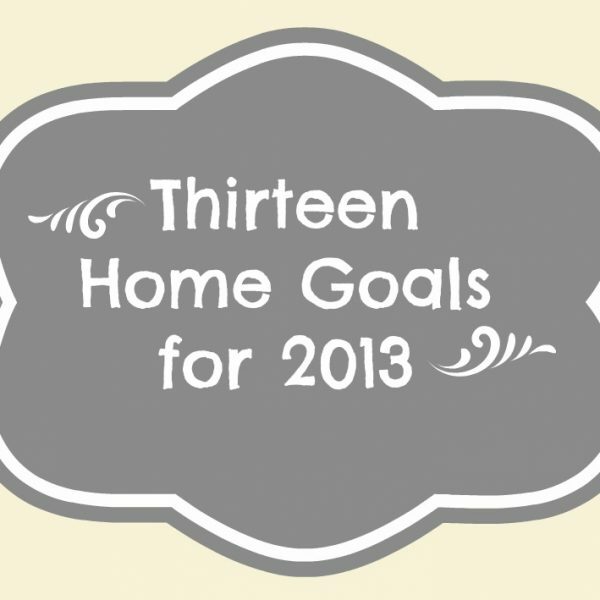 What are you hoping to incorporate into your home? Wow. I love the black and white floor tiles in those bathrooms! Those prints looks like carpets! I’ll probably be sporting the granny boho chic look for a long time, as most of our blankets are from grandma’s incredible quilting skills and you know l love a patterned rug!